If you have been paying attention over the last year or so, you might know that I take skincare very seriously. I have a multi-step program for my face, and several facial sunscreens. As for sunscreen for the rest of my body I am kind of at a loss. I have a variety of products that I will tolerate, but none that I love. I recently had the opportunity to try Hawaiian Tropic's new Silk Hydration Lotion Sunscreen, and I was quite surprised with the results. I found that this sunscreen sinks in and moisturizes better than the other sunscreens I currently have in my arsenal and believe me it's quite a collection. After inspecting the ingredients list, I think the bulk of the moisturizing comes from the aloe barbadensis. 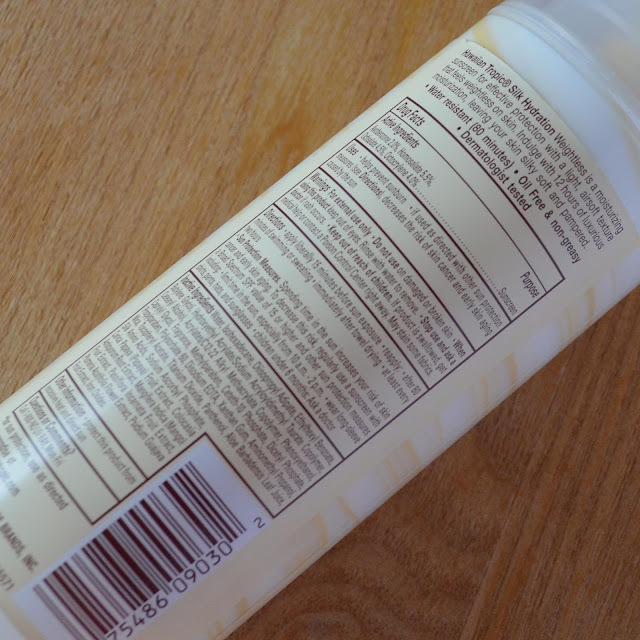 As you can see, this sunscreen is made up of primarily chemical sunscreen ingredients. I did note that titanium dioxide is in the ingredients list, but it isn't listed as an active ingredient. That would lead me to believe that it's there as a stabilizer for other ingredients, or it may be a whitening agent for the formula overall. One more thing to note is that this does contain various forms of alcohol. If you have any sensitivities to alcohol in skincare you might want to skip this one. I personally enjoy this sunscreeen, but I recommend that you patch test it if you decide to purchase. As with all skincare products, your mileage may vary. 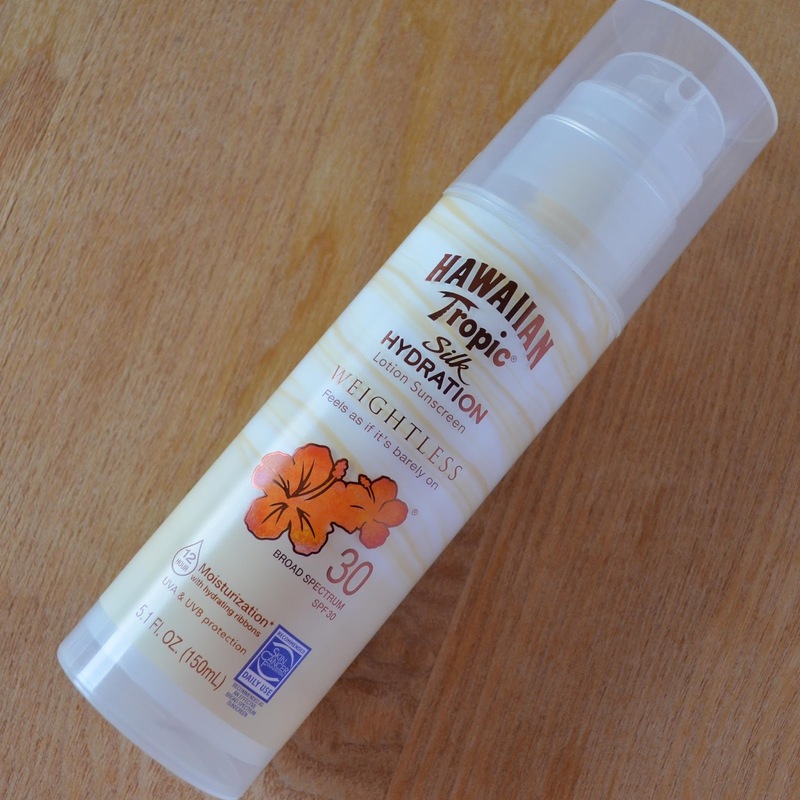 You can learn more about Hawaiian Tropic Silk Hydration Lotion Sunscreen here. If you liked this sunscreen review you might enjoy Green Goo Skincare and Holy Snails Shark Sauce Reivew.